CROWNS & BRIDGESCrowns act as a replacement to the missing teeth which is made up of metal, gold, porcelain and white metal(zirconium).Crowns can enhance the appearance of the tooth.The white crown helps to give good aesthetics to the smile. 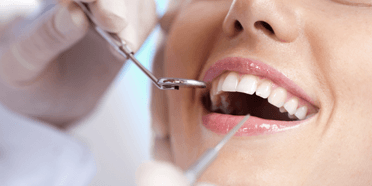 Metal crowns which are usually made up of gold alloys or base metal same like chromium that bear the forces of biting and chewing which last longer in the aspect of wear down. The metallic crowns have an inopportune effect on the gums. 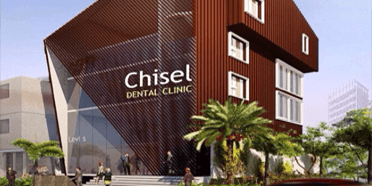 Ceramic Fused to Metal Crowns Porcelain-fused-to-metal dental crowns The porcelain fused to metal crowns are the primary crowns with metal back up which has similar color matched to the adjacent teeth. The whole crown is made up of the metal layer which is present in the bottom and porcelain or ceramic is present on top of it. 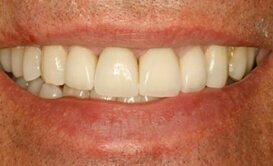 The layer of the porcelain has two variants either Full Veneer which covers all surfaces of your tooth or Partial Veneer which covers only the front surface and rest is covered by the metal. LASER SINTERED CROWNSLaser Sintering employs CAD/CAM technique to produce crowns that reduce the chances of manual errors and also processing time which includes delivery of proper fitting strong crowns. The Laser sintering crowns have the worldwide popularity for cost-effective crown solutions. There is a possibility of mild graying because of the characteristics of metal. All Ceramic crownsAll Ceramic Crowns are the ones which are made up of different types of ceramic and provides a natural look tooth. The benefit of using all-ceramic crowns is that provide strong and durable and offers natural looking tooth and long lasting solution. 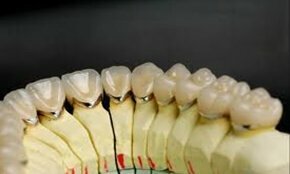 The nature of the crown is thick and major portion is comprised of transparent porcelain. Zirconium crown is made up of zirconium oxide which is hard in nature and comes in different shapes and sizes. It provides strong and durable crown, translucent in nature with no allergic effects. 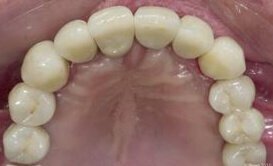 This crown can bear the biting pressure of the front teeth and back teeth grinding as well.